SNORKELING is an inexpensive pastime that is easier to learn than surfing or scuba diving, and can be done either by booking a cruise or finding a good spot on a beach. 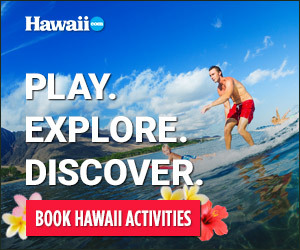 If you go with the pros, like MAUI SNORKEL CHARTERS or SOUTH PACIFIC KAYAKS AND OUTFITTERS, expect gear, lunch and other amenities to be provided. For the more independent type, snorkel gear can be rented or purchased. In either case, all you’ll need is a mask, a snorkel and fins. Gear comes in many sizes and shapes, but a good fit is key to making the underwater experience an enjoyable one. For help buying or renting gear, try experts like BOSS FROG’S or SNORKEL BOB’S. Snorkel Bob’s designs and manufactures snorkel gear, including a special kids’ line. Packages are available by the day, the week or for keeps. All packages include mask, fins, dry snorkel and no-fog goop, fish ID, maps and tips. If you’re traveling interisland, Snorkel Bob’s offers 24-hour interisland gear return. • Never snorkel alone. Go with a buddy. • Never turn your back to the ocean. • Whenever possible, snorkel in the morning. Afternoon winds reduce water clarity. • Marine life tends to congregate around structures, so stick to reefs. • Don’t feed the fish. • Even on the cloudiest of days, use waterproof sunscreen. • Take a small cooler with bottled water, snacks and food. Most beaches don’t have concession stands. • Be respectful of the ocean. Avoid standing on coral, which is the foundation of Hawai‘i’s reef environment. All sea creatures rely on the reef for homes, protection and food. Broken coral takes many years to grow back. Plus, it’s sharp! • Don’t combine snorkeling with alcohol or drugs.